This compilation of songs was released as a companion piece to Robertson’s autobiography also titled Testimony. The music included on this release spans Robertson’s entire career from his time in The Band, the Hawks, playing with Bob Dylan and his later solo career. 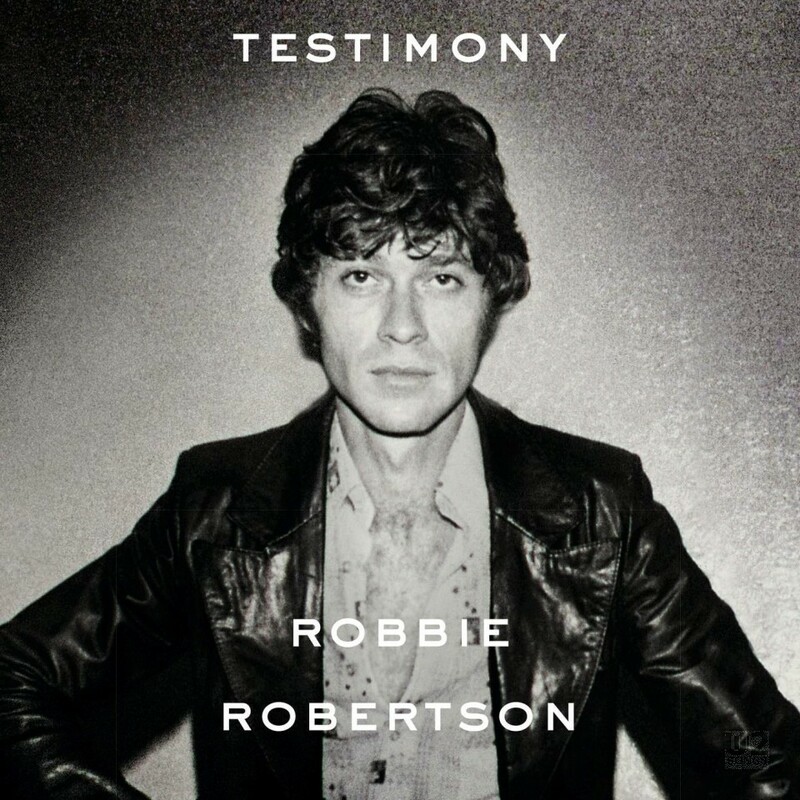 The song, “Testimony” which Robertson performs with U2, was originally released on his 1987 album Robbie Robertson. It was one of two songs that Robertson would include on that album featuring U2, with the other being “Sweet Fire of Love.” Both tracks were recorded in Dublin at Danesmoate studio where U2 were recording The Joshua Tree. The song appearing here is a previously unheard version that includes some unreleased vocals from the original recording sessions that can be heard near the end of the song (including vocals by Bono). After deciding to call my autobiography “Testimony” which was partially inspired by the title of a song I had written years ago, I went back to the original tapes out of curiosity. When I looked at the track sheet I saw: the incredible Gil Evans and his horn section, the guys from U2, Larry Mullen Jr.-drums, Adam Clayton-bass, The Edge-guitar, and Bono-backing vocals, producer Daniel Lanois-percussion, Ivan Neville-backing vocals, Nile Rodgers-wah wah guitar, Bernard Edwards-bass, Bill Dillon-sonic guitar, and myself on vocal, guitar and keyboard. I don’t know if I’d ever seen such an extraordinary array of music makers together on one track before. After it was mixed for my record the track fell into the hands of Nile Rodgers. Nile and bassist Bernard Edwards funked it up. So now when I revisited the multi-track, this unbelievably unique collaboration knocked me over. Today, I’m able to continue all these different worlds into one unified composition, just the way it should be experienced. It’s one for the ages, one for the books. The album was released simultaneously on several platforms including a release on audio CD, Amazon, iTunes and other digital store fronts. On iTunes the album included the “Mastered for iTunes” logo. Written by R. Robertson. Produced by Daniel Lanois, Robbie Robertson. From the album Robbie Robertson. 2016 mix by Bob Clearmountain.